Amazing designers home in Nottingham Forest, immaculate and decorated in beautiful soft tones throughout. 2 story entry invites you into this incredible home, all large windows across back of home makes the outside open into kitchen. hearth room and large family room. See thru fireplace with custom cast stone on family room side, brick on kitchen side, all this opens to large brick patio and fountain which makes for easy entertaining outside. Your own private oasis in lush backyard, mature trees & perennials. 119th to Nieman Rd. south to house on left. Overland Park is located in Kansas. Overland Park, Kansas 66213 has a population of 186,515. The median household income in Overland Park, Kansas 66213 is $72,231. The median household income for the surrounding county is $75,017 compared to the national median of $53,482. The median age of people living in Overland Park 66213 is 37.7 years. 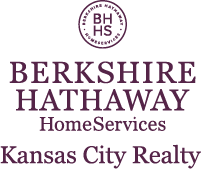 I am interested in 12105 Nieman Road, Overland Park, KS 66213.